We have carefully crafted this unique itinerary to include the most quintessentially English and French experiences. 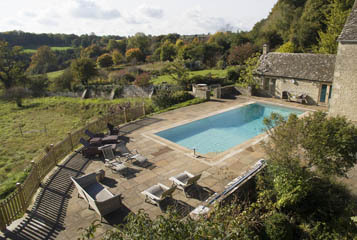 Your trip begins with a week in the Cotswolds, based at a beautiful 16th century manor with a heated pool. Your en-suite, spacious and period decorated room ensures perfect comfort. The Manor’s skilled chef and staff will delight you with wonderful food, paired with an excellent wine selection which will quench the thirst of even the most keen of wine enthusiasts. During the week your visits will range from the town of Bath with its Roman history to stately homes and even a game of Polo at one of the country’s finest polo parks - where the Princes William & Harry play Polo regularly! 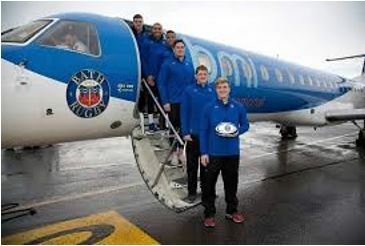 Next we fly you to France and the Champagne region where you will visit WW1 trenches and ancient history monuments. Partake in wine tastings and chocolate making, and sip a different Champagne each day from the deck of your luxury floating hotel. Saroche is the largest Luxmotor cruising the canals of France and her spacious en suite staterooms, enormous panoramic sun terrace with a relaxing fire-pit and attentive staff ensure a magical experience is had. Your hosts in England are Joe and Angharad Campbell Sait. This young dynamic couple started their career working for Orient Express on board a Dutch barge in France, with Joe at the helm as Captain and Angharad working alongside him. They have now established their own luxury experience a little closer to home. Their fine attention to detail, friendly professionalism and enthusiasm will ensure your expectations are exceeded. In France your hosts are Captain Jason, who is also a trained sommelier and his wife Chef Dawn. As proud owners of Saroche and with a combined 30 years experience cruising the waterways of France you will be in good hands for your relaxing trip on the canals of Champagne. We have known each other for the last eight years and this has been a long project to put together and we are all four very proud of the results, in our opinion its probably the perfect Grand European vacation. Greeted by your host, you will depart London in our luxury private transfer service direct to The Manor. 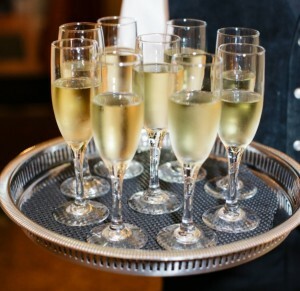 A Champagne reception will welcome you as you are introduced to the staff. After you settle in to your state rooms, enjoy a cocktail on the terrace overlooking the rolling hills of Bisley before indulging in a delicious five course dinner, prepared by your private chef. 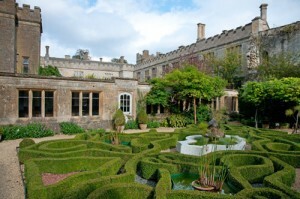 After breakfast, depart for a visit to the famous Sudeley Castle & Gardens; a 15th century castle in North Cotswolds which is one of the few castles in England which is still in residence. The castle contains many fascinating treasures from ancient Roman times to the present day. Outside, the castle is surrounded by award- winning gardens and a breathtaking 1,200 acre estate. Sudeley Castle & Gardens is also the only private castle in England to have a queen buried within its grounds; Katherine Parr, the last of Henry VIII’s six wives! 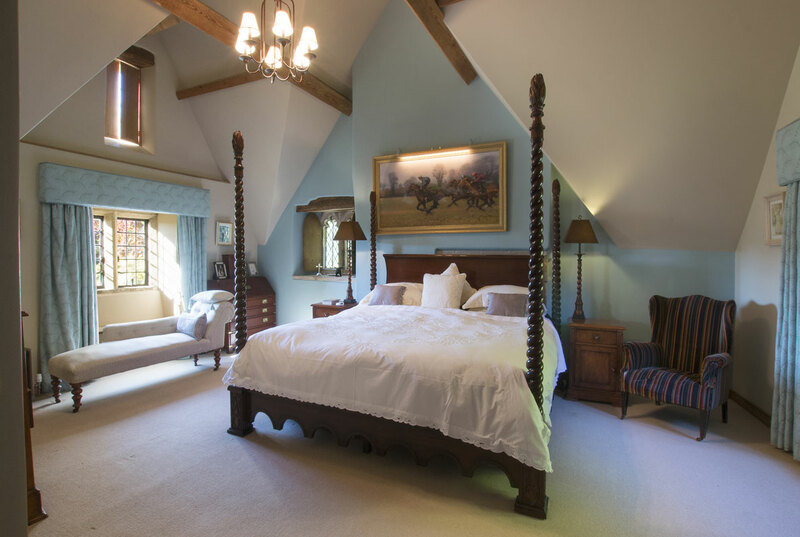 Return to The Manor for your first lunch, followed by a relaxing afternoon by our heated pool, or enjoy exploring the extensive gardens and for the energetic perhaps a country walk through the local area Enjoy cocktails and another superb five course dinner at The Manor. Today you will explore one of Britain’s most beautiful cities; the city of Bath, made famous by Jane Austen. 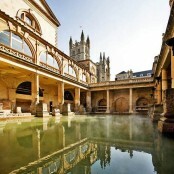 Visit Bath’s iconic landmarks including the Royal Crescent, The Circus and Bath Abbey. Indulge in a magnificent lunch at a Michelin starred local restaurant in the heart of the city, before continuing to the Roman Baths – the most popular attraction in the city! Enjoy some free time browsing Bath’s exceptional boutique shopping before returning to The Manor in the late afternoon ready for sipping cocktails on the terrace and enjoying another gourmet meal. 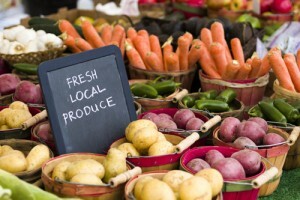 After a leisurely breakfast, the chef will accompany you as you visit the bustling multi award winning Stroud Farmer’s Market which is well known as one of the biggest, busiest and most popular farmers' markets in the UK. Select local ingredients and delicacies and return to the manor for a cooking demonstration and a beautifully prepared market lunch. This afternoon you will attend a quintessentially British sporting match - polo! Established in 1894, amid 3000 acres of parkland and woodland on one of the country's most beautiful parks, enjoy cream tea or a glass of Champagne at Cirencester Park’s Country Polo Club. 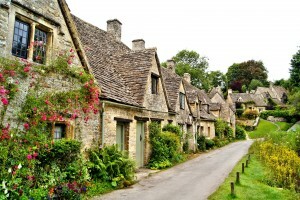 After a relaxing morning and delicious lunch, set off for your tour of medieval Burford, one of England’s prettiest villages. Discover the hidden treasures through intriguing alleyways and courtyards between the 17th and 18th century buildings and see the splendour of the parish church built from the wealth of the wool trade. 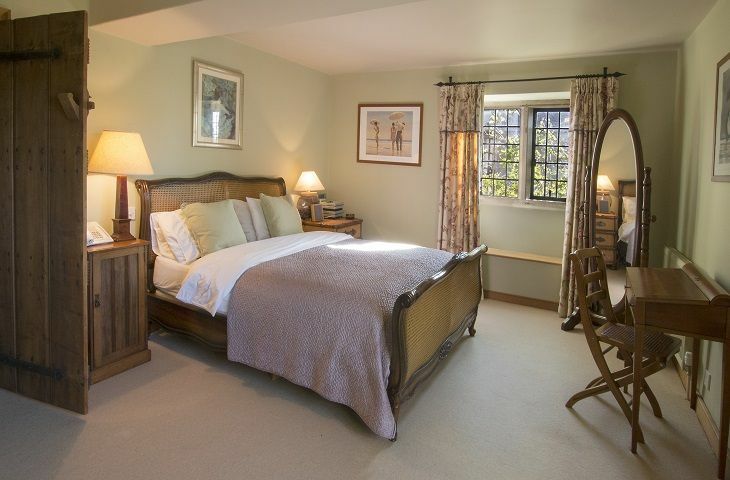 From here, continue on to Cotswolds Woollen Weavers, where you will learn of the heritage of textiles in the area and how it was the source of the infamous wealth of the Cotswolds. 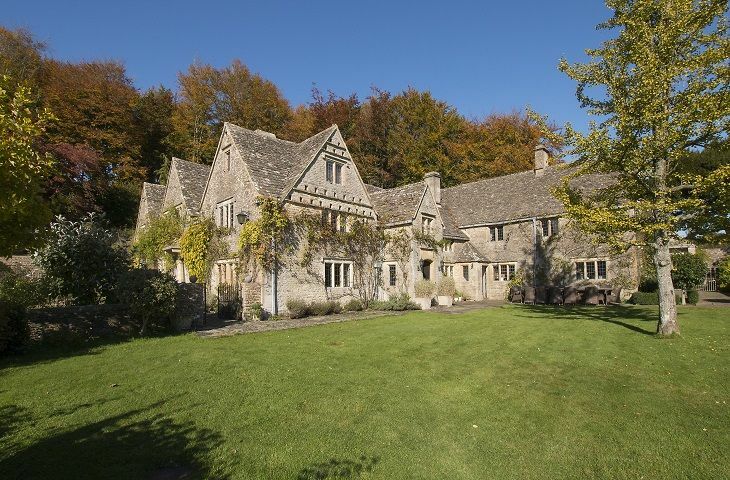 On your homeward journey, stop at Bibury, home to the famous Arlington Row. Built in 1380 as a place to store wool for the monastery, these cottages were then converted to weavers homes in the 17th century. Return to the manor for cocktails and another wonderful five course dinner. 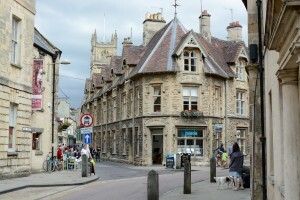 After breakfast, depart for a short drive to Cirencester – one of Britain’s oldest cities, where you will take a guided stroll through the town, visiting its architectural landmarks which span several centuries. You will then visit the award winning Corinium Museum, home to one of the largest collections of Roman - British antiquities. Enjoy some free time to roam Cirencester’s antique & craft market before returning to the manor for an exquisite lunch and a relaxing final afternoon at The Manor. Before the cocktail hour is upon you, enjoy a traditionally English game of croquet on the lawn with your companions and staff, before indulging in a memorable seven course gala dinner. Enjoy your final breakfast at The Manor, before departing for Bristol Airport where you will catch a flight to Paris Charles de Gaulle Airport. At 1 hour and 15 minutes it makes the journey to France easy. Upon arrival you will be met by the Saroche’s chauffeur and transferred to the barge moored on the river Marne in the heart of the Champagne region. Owners of Saroche Captain Jason and Chef Dawn will greet you with a Champagne reception on deck and introduce you to the crew. 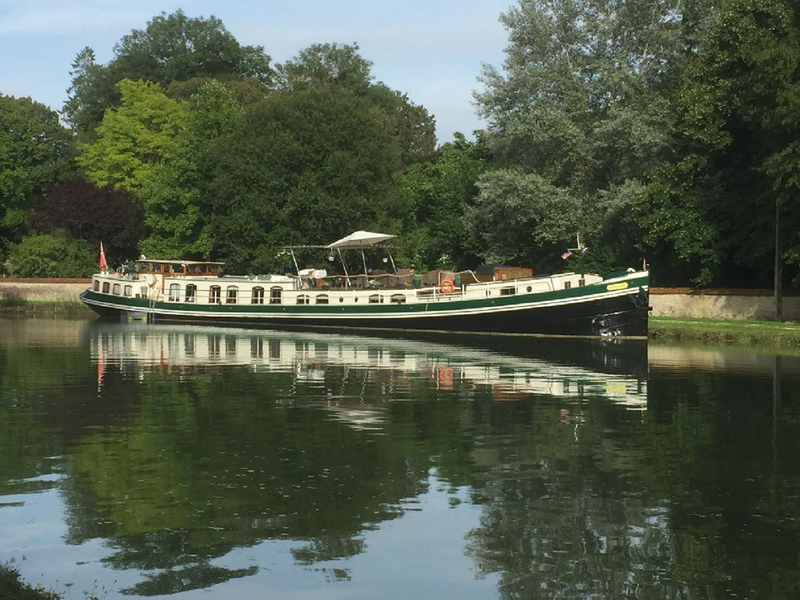 Plenty of time to settle into your stateroom and then enjoy a stroll along the river bank, or a cocktail on deck whilst overlooking the weir where you will spy kingfishers hunting, swans, herons and ducks all enjoying the tranquility of the Marne. This evening your first of many gourmet dinners created by Dawn will be enjoyed aboard Saroche, followed by a night cap on deck star gazing. 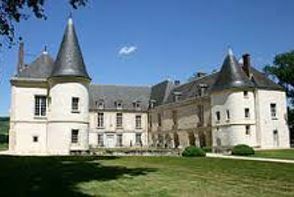 After breakfast Jason will take you on a historic visit to the Chateau of Conde en Brie. 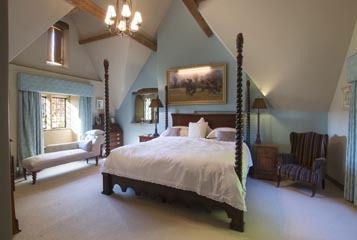 This 16th century hunting lodge has hosted kings and queens, saints and sinners. As a personal friend of the owners Jason will guide you on a private visit through this wonderful building and introduce you to the Count, who will demonstrate the flamboyant technique of “Sabering" a bottle of Champagne and then indulge in a glass or two in the shade of the courtyard. We return to Saroche for a lazy lunch with 360° views of the glorious Champagne vineyards before setting sail and heading up stream towards Cumières. This important river gently meanders through the Marne valley covered on both sides in vineyards, steeped in WW1 history and surrounded by wonderful French countryside. All this can be admired from the deck. We moor up in the shadow of the Abbey of Hautvillers, once home and work place to the grandfather of Champagne Dom Perignon. Dawn will be demonstrating the art of “confit-ing” duck in her galley and there is time for a gentle stroll or a cycle along the towpath before Jason introduces you to “ Bubbles du Jour" (each evening you will be presented with a different Champagne with explanations on the house it comes from and any unusual techniques and qualities it possesses) followed by another of Dawns fabulous meals on board, whilst Jason pairs your meal with magnificent wines from Burgundy. Finish the evening with a digestif on deck from the wide selection of single malts, rums, Cognacs and liquors and perhaps indulge in a Cuban cigar from Jason’s personal humidor. After breakfast Jason will take you to Epernay, where he will drive you down the famous Avenue du Champagne home to the houses of Mercier, Perrier-Jouet and the biggest of them all Moet et Chandon to name a few. 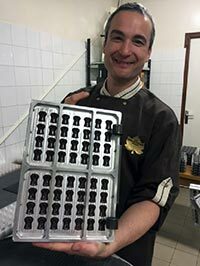 This morning you will visit chocolatier Thibault where you will spend time making artisanal chocolates with the master chocolatier, famous as the last chocolatier to make the alcohol filled champagne corks. This is a rare and exciting chance to get up close and personal and experience the intricacies of creating fine confectionary. Return to the Saroche where Dawn will present another fabulous lunch. This afternoon we set sail for Tour-sur-Marne on the canal lateral a la Marne. We pass by hills covered in vines that stretch down to the waters edge. These are owned by many famous Champagne houses, such as Mumm, Philiponat, Moët & Chandon and Heidesek. With plenty of opportunity to walk and cycle along the well paved towpath, we slowly ascend the valley toward our mooring in the centre of the village of Tour-sur-Marne. This traditional Champagne village is home to the house of Laurent Perrier, however dozens of small independent champagne makers are represented here and Jason will take you on a short walking tour and then for “Bubbles du Jour” in one of the private cellars. On the way back to Saroche join the crew in collecting fresh bread from the baker or visit the butcher, one of the finest in the area, where the chef does most of her provisioning. This evening Dawn will demonstrate the art of pate and terrine making, before cocktails and canapés on deck. Following this Dawn will continue to impress with another fine dining experience and Jason will match some of the Rhone Valleys most famous wines to the food. After a lazy breakfast we take the mini bus to Meruil sur Ay, home to many famous Champagne houses but non more so than Billecart-Salmon. 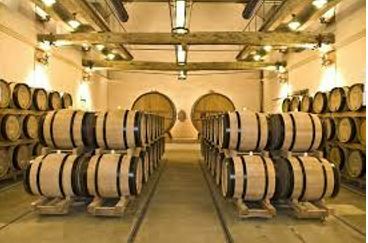 Enjoy a private tour of the last remaining independent large Champagne house followed by a delectable tasting. Returning to Saroche for more of Dawns creations which will leave you well suited to a relaxing afternoon on the deck or walking by the barge as we climb the 8 locks to the summit pound, where we moor in the shade of the trees in the middle of the French countryside. As we cruise, those who are interested can join Dawn in the kitchen and watch her prepare her food as she divulges her kitchen secrets and recipes, whilst quizzing her about her menus and creations. Enjoy canapés on the deck as Jason introduces “Bubbles du Jour”. Following this tonight's dinner is classic French farmhouse style, where Dawn will present one of her hearty creations like Cassoulet, Beouf Bourgignon or Coq au vin, all washed down with delicious French wines from the Bordeaux region. We leave the Saroche this morning to head into the historic city of Reims. Our first stop is to the Eisenhower War Rooms, an important yet under publicised museum, where the treaty to end the Second World War was signed. 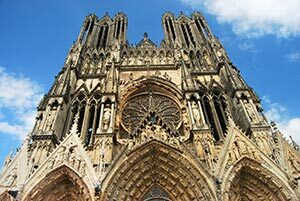 From here Jason will take you to the world famous Cathedral of Reims. Having survived the revolution and two world wars it is a testament to the resilience of the people of Reims, with its amazing nave and wonderful architecture it deserves the UNESCO World Heritage status it has gained. Time to wander the shopping district of Reims before meeting up to go to lunch. Jason will host lunch at Les Crayers bistro for a lazy yet tantalising Michelin dining experience. 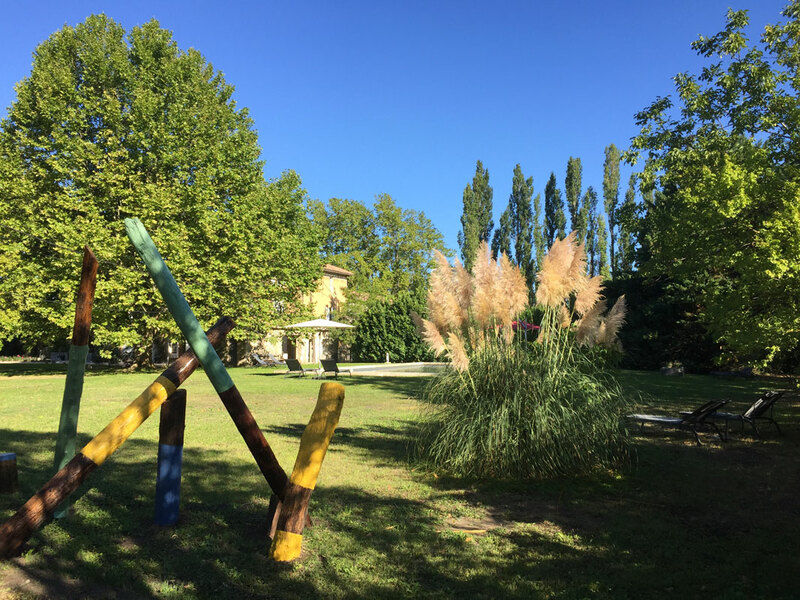 After lunch enjoy a stroll in the formal gardens at this most magnificent Relais and Chateau, once home to the Pommery family and now one of the best small hotels in the world. 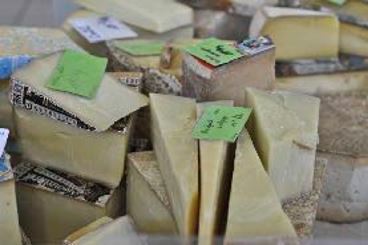 Crossing the city of Reims we will visit one of the local fromageries for a cheese degustation and talk on their magnificent products. As we make our way back to the barge, Jason will stop off at an artisanal snail “ranch” where he will describe in detail what goes into making this gourmet dish so special. For the more adventurous there will be a sampling of this local delicacy. Back on board there is time for relaxing or a stroll by the canal side before the evening kicks off with “Bubbles du Jour”. Tonight Dawn serves a light rustic French dinner of her homemade terrines and pates with local cheeses and salads, accompanied by hearty wines from the Languedoc. This morning we set sail and head along the canal to the tunnel at Mont du Billy, Jason will prepare the barge to go through the tunnel. A marvel of French engineering this tunnel allowed commercial traffic to enter the heart of Reims and thus connected Paris and Reims in the 18th century. Having passed the tunnel we continue our lazy cruise down the canal to Beaumont sur Vesels, with views of the Montaigne du Reims covered in Grand Cru vines. After lunch Jason will drive you to the World War 1 trenches at the Mains de Messige. An archaeological dig that is as authentic and sobering as it is mysterious. These trenches were discovered by a Parisian archaeological student during a summer dig. Today they are the newest discovery of this grizzly episode in Champagne's torrid history. 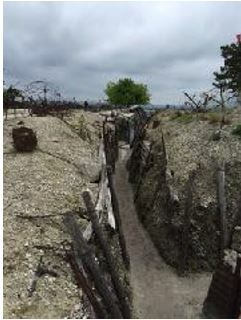 A walking tour of real trenches is a reminder of the other reason Champagne is world famous. Before returning to the barge there is time to pay our respects to the fallen at the war cemetery. The route taken by Jason is the one used by General Paton as he swept across France on the allied offensive to help end the Second World War. For your final evening aboard Saroche Jason will start by presenting your last “Bubbles du jour” on the deck with canapés and perhaps recount stories of barging Folk lore, many of which he and Dawn are apart of. Then Dawn will delight you one final time with a magnificent gala meal and accompanied by Jason’s selection of Grand Cru wines. After breakfast your chauffeur driven minibus will take you back to Paris with time on the journey to reflect on a truly unique vacation. 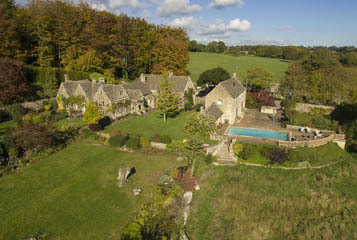 6 nights full board accommodation at the Manor in the Cotswolds. 6 nights full board accommodation aboard Saroche in Champagne. All alcoholic beverages, soft drinks, teas and coffees whilst at The Manor or onboard Saroche. All transportation from pick up on in London on the first day to drop off in Paris on the last day inclusive of the midweek transfer from England to France. Please click on any photos zoom in.